In the early 1840's, Hungarian immigrant Agoston Haraszthy acquired acreage on the Wisconsin River near present day Sauk Prairie. He started a brick yard, riverboat and ferry business and laid out the village now known as Sauk City. On the southern slopes he planted a vineyard. His European vines could not withstand the Wisconsin winters and in 1849 Haraszthy departed for California, later to become known as the "Father of California viticulture." A fourth generation German winemaker, Peter Kehl, acquired Haraszthy's grape acreage in 1856 and planted vines that were more winter-tolerant. Kehl's impressive limestone home was erected in 1858; the winery was built during the Civil War. Son Jacob Kehl, continued the operation until 1899. 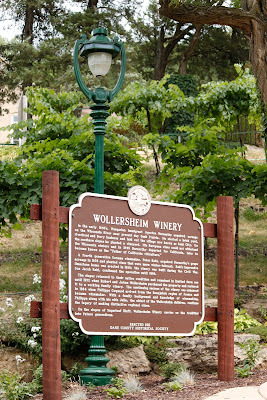 The slopes returned to their native condition and remained in limited farm use until 1972 when Robert and JoAnn Wollersheim purchased the property and restored it to a working family winery. The continuing success of the winery was enhanced in 1984 when Philippe Coquard arrived from the Beaujolais region of France and became winemaker. 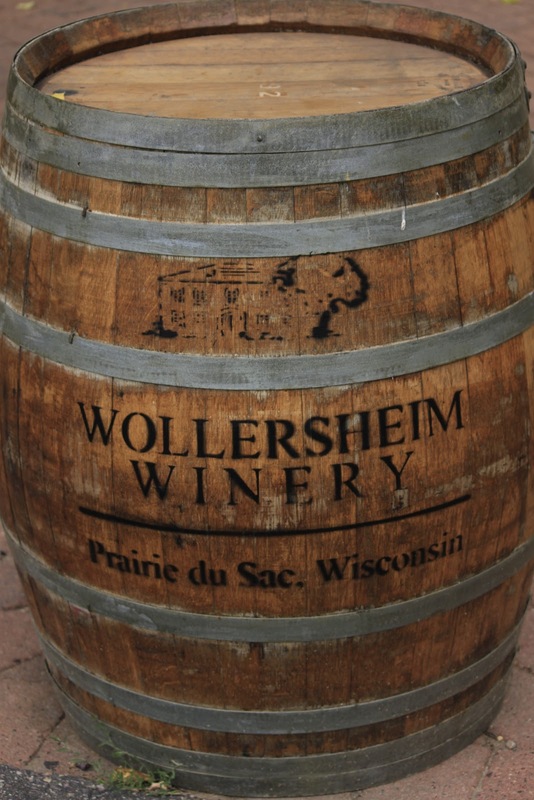 With a family background and knowledge of winemaking, Philippe along with his wife Julie, the oldest of the Wollersheim children, continue the legacy of making distinctive regional wine. 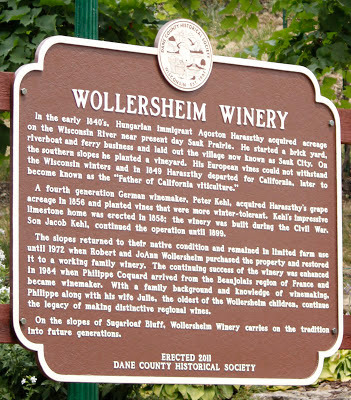 On the slopes of Sugarloaf Bluff, Wollersheim Winery carries on the tradition into future generations. 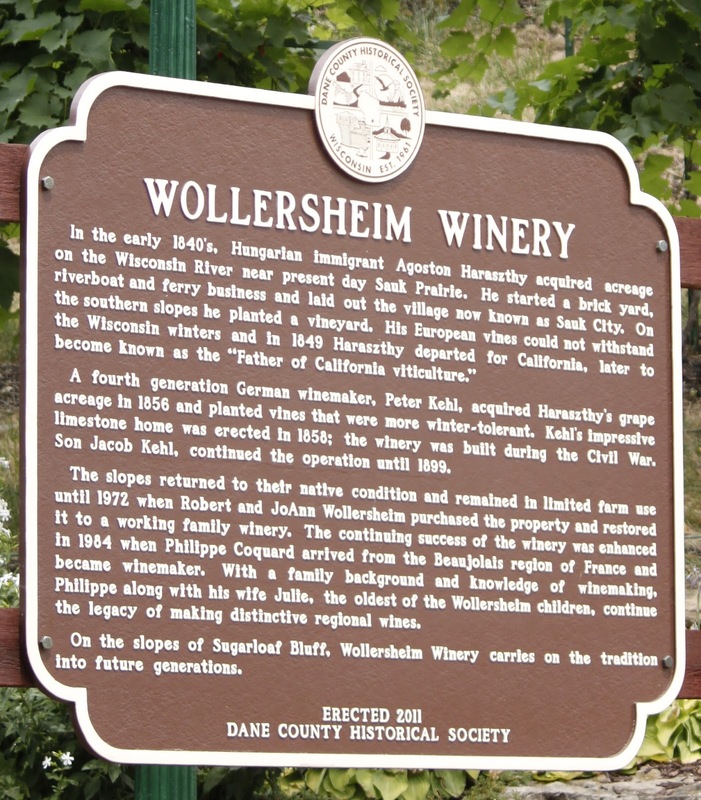 The marker is located at Wollersheim Winery, 7876 State Highway 188, on the walkway between the Wollersheim Winery parking lot and the winery/ tasting room, Prairie du Sac, Wisconsin 53578. 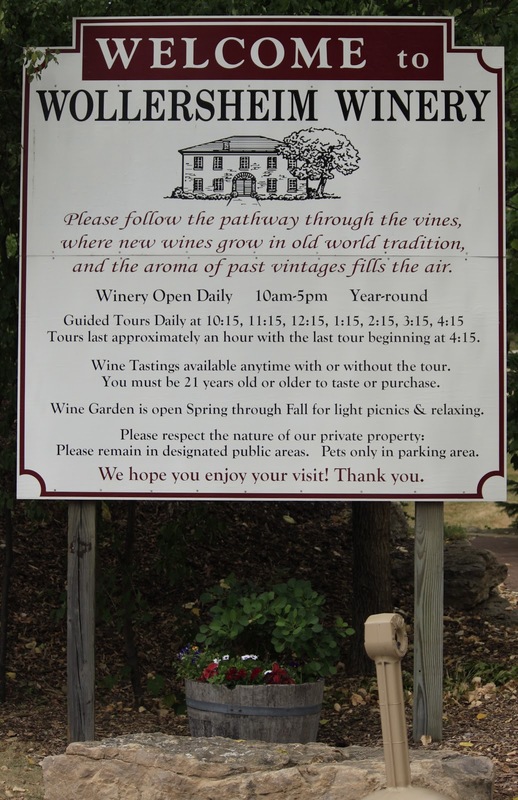 NOTE: The Winery website shows the city as Prairie du Sac 53578 ; Google maps shows Sauk City 53583. Yeah, using the same street address; yeah, it's frequently like that here in Wisconsin! 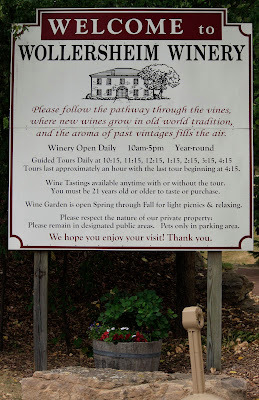 A very nice winery, in a lovely location. 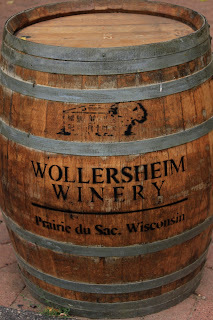 The wines are yummy -- my first experience with Wisconsin wines and it was quite a treat! Bought several bottles. The marker is No. 44 in the Dane County Historical Society Markers Series.